A simple way to focus on the real meaning of Christmas is by using advent candles. Since I love to make things practical for our family, I decided to make some DIY advent candles. By doing this, we do not have to worry about any fire and the kid are able to interact with the candles. This is one of the simplest and most meaningful activities we have done during Christmas as a family. The best part is that the supplies needed are minimal. Have one of your kids color the paper plate green. Or they could cut out green leaves from green paper and glue on the plate. Cover 3 toilet paper rolls in purple paper, 1 in white, and 1 in pink. 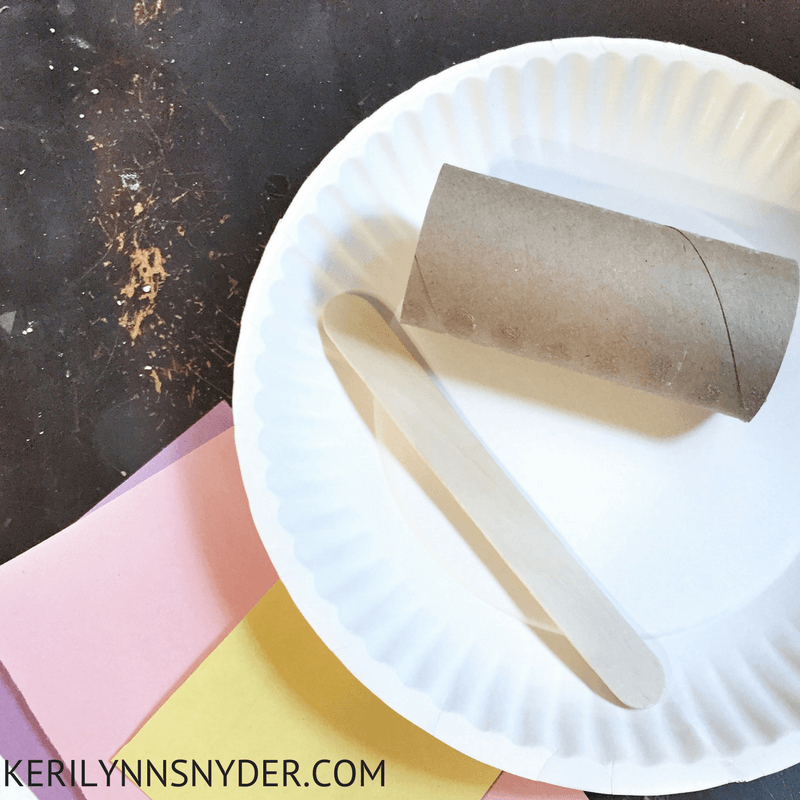 Glue the toilet paper rolls to the plate with the white on in the center. Cut out 5 flames from the yellow paper. 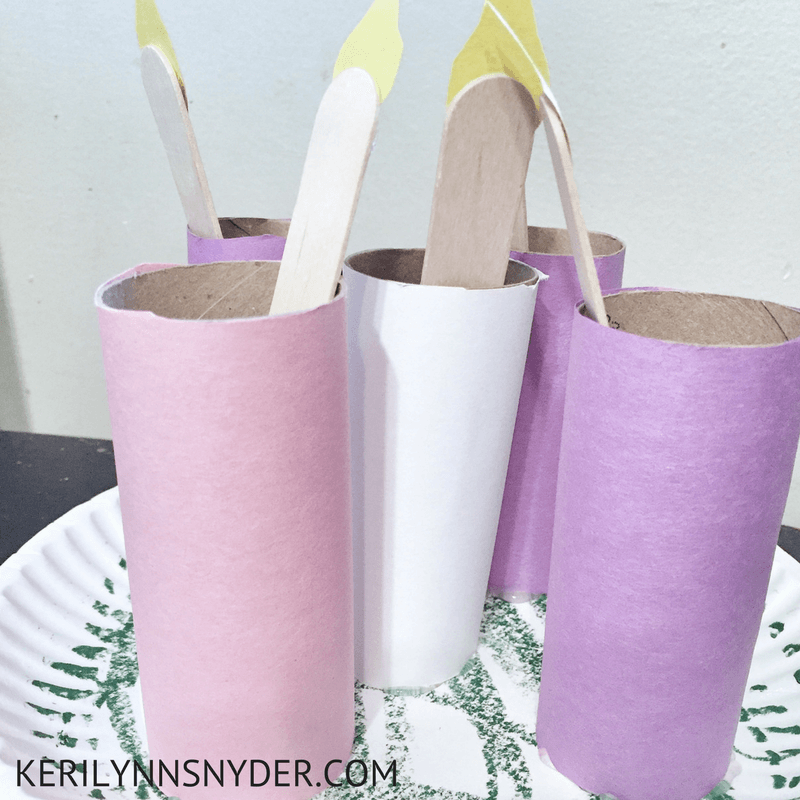 Glue each on the top of one craft stick. These are your candles. 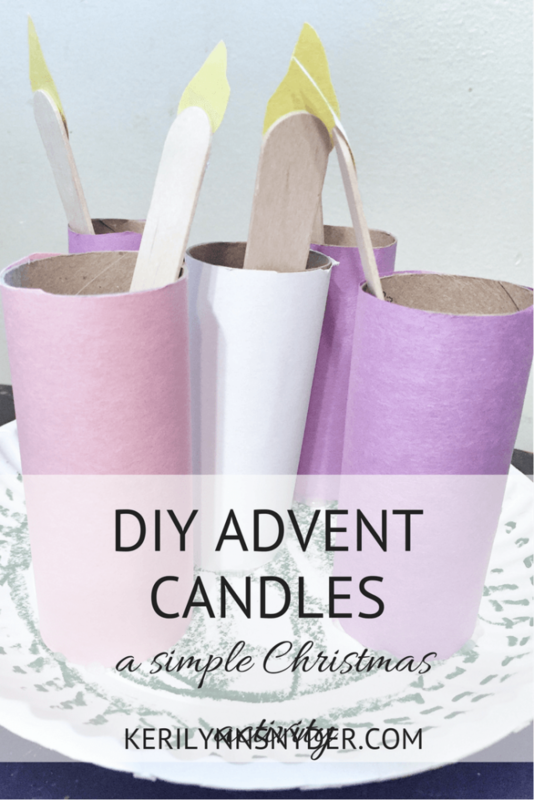 Now your DIY advent candles are all set! Every Sunday leading up to Christmas, “light” a candle by placing the “candlestick” in the appropriate tube. Thank God you can have hope because of Him. Thank God for the peace He gives and that we can trust Him. Focus on sharing the peace with others. Thank God for the joy He gives. Focus on sharing your joy with others. Thank God for loving us. Focus on how you can love others. Jesus is the spotless lamb of God sent to wash away our sins. Celebrate Jesus is born!